Before the student starts using the program on iPad, you’ll need to set up the student’s device for the program. IMPORTANT! For the best experience on iPad, we strongly recommend completing these steps before your students start the program. Because Reading Assistant Plus works in Safari, it does not come with an bookmark for the Home screen. Good news: we’ve made one for you! The MySciLEARN bookmark links directly to the Student Login page in Safari. The student can use it to open Safari, log in to MySciLEARN on iPad, and start using Reading Assistant Plus on iPad. Follow these steps to add the MySciLEARN bookmark to the Home screen. Or watch the video below. Choose your school or district, if it does not already appear on the Student Login page. See Log in on iPad. Tap the Share button in the toolbar. Scroll to the right and choose Add to Home Screen. Note: Video playback is not supported on mobile digital devices at this time. If the student was previously using the legacy Reading Assistant app, delete it from this device. This way, the student won’t mistake the legacy app for the new Reading Assistant Plus program, which runs in Safari. On the Home screen, lightly touch and hold the Reading Assistant app until it jiggles. Tap the X in the upper-left corner of the Reading Assistant app. As a protection mechanism, iPad is designed to automatically go into sleep mode and lock the screen when idle. 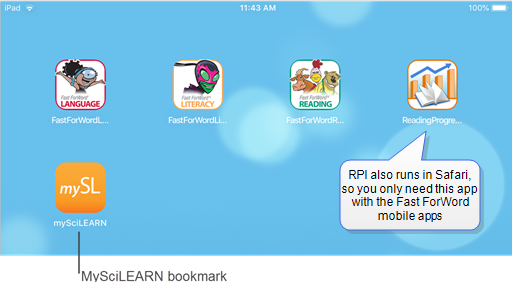 During some of the Reading Assistant Plus activities in which the student is not actively interacting with the device—for example, during the Read to Me activity—this auto-locking feature can interrupt the session and cause issues with the program. 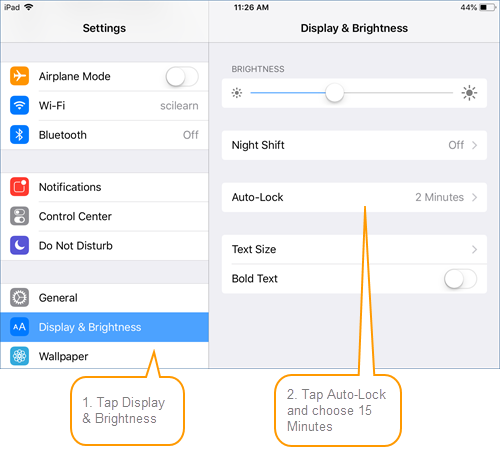 To avoid these issues and still allow sleep mode functionality, set Auto-Lock to its maximum time (15 minutes). Tap Auto-Lock, then choose 15 Minutes.